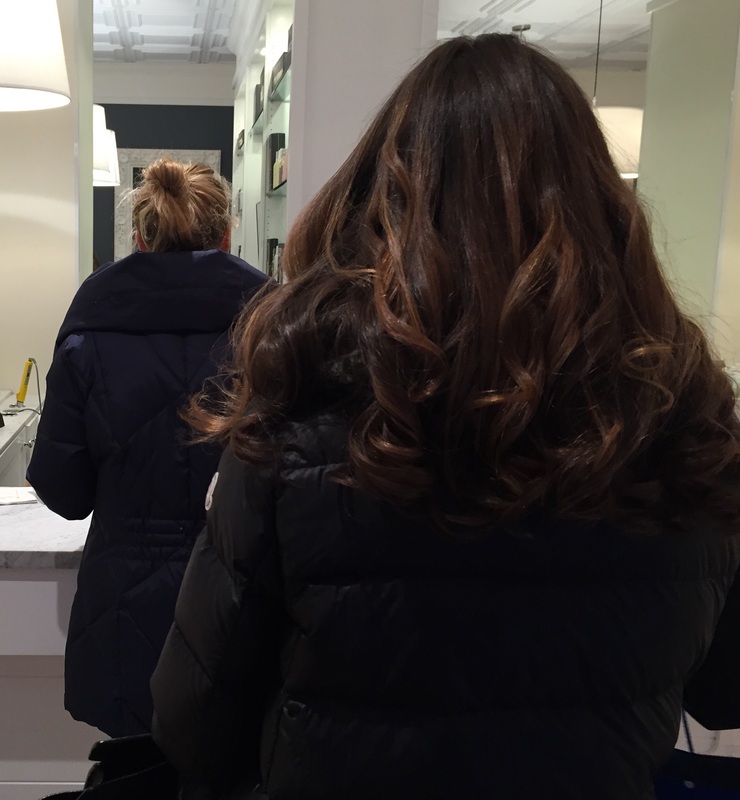 I had heard of the hair bar, where you walk in, get a blow dry, and walk out feeling marvelous; all without overspending. In my previous experience, it might be cheap, but the salon is usually a place you want to leave as soon as possible. Reason number 1,098 that I love NYC is that you can get what you need, when you need it, and it will be the BEST of the best. 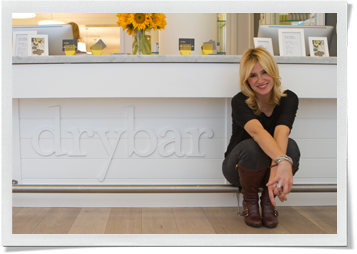 Enter drybar. 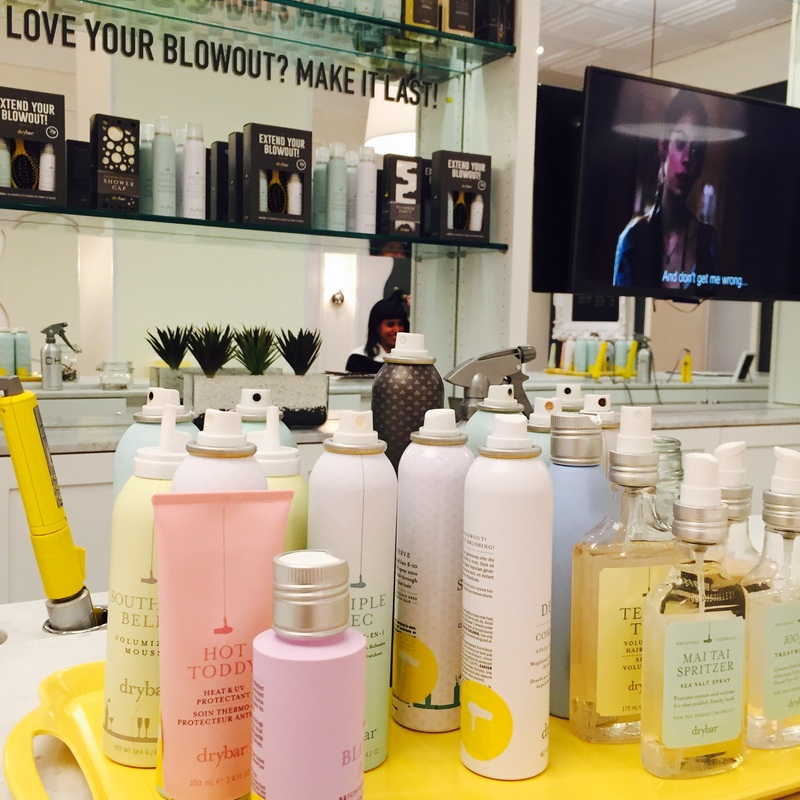 The California-based, alcohol beverage themed hair salon that offers you a menu of blowouts, braids, and amazing hair products; all that promise you “the best 45 minutes of your day“. 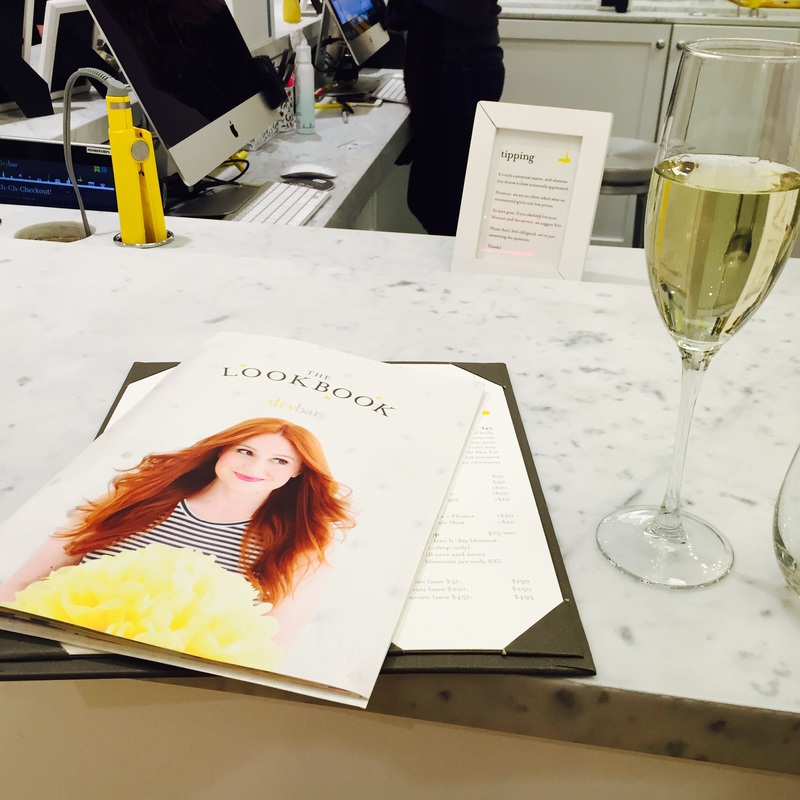 The drybar menu or “lookbook” images are all photographs of drybar clients, not models. 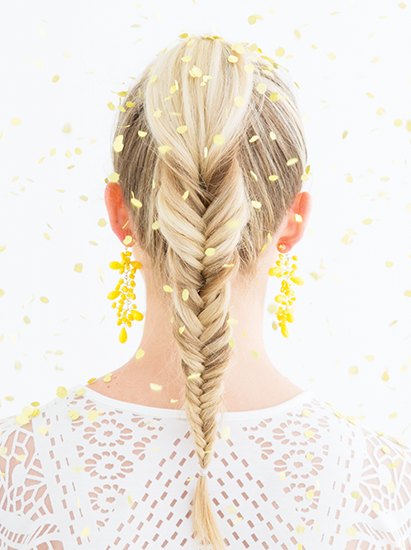 Fishtail braids are offered at drybar. 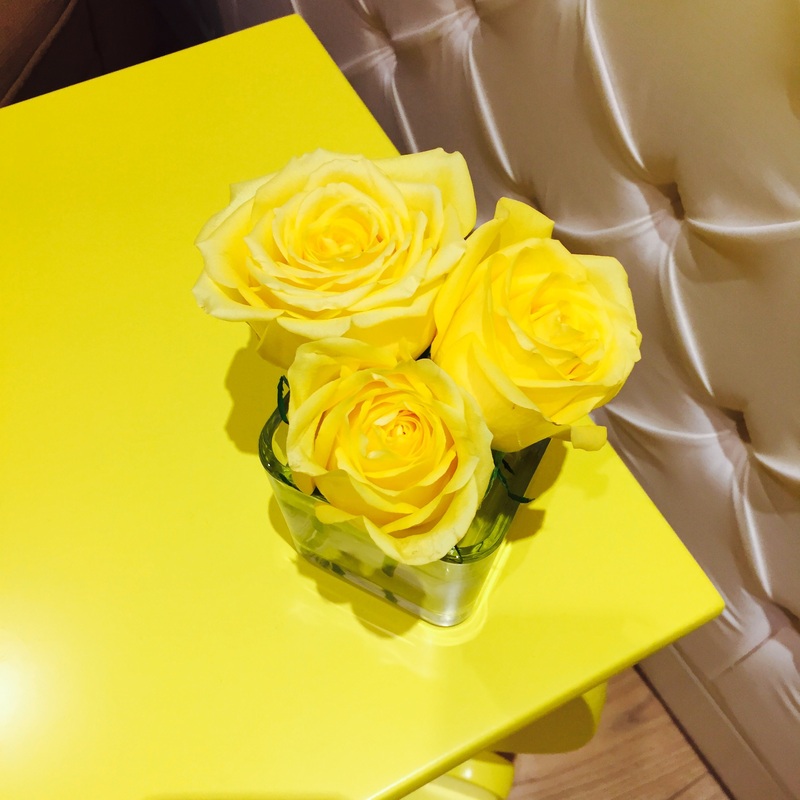 The salon is all white with pops of yellow which in the winter, immediately cheers you up. A glass of champagne is included, which you get to enjoy as you begin your consultation with your trained stylist. You can select from styles like the Mai-tai, the Manhattan, and the Cosmo. It feels like the party, before the party. Girls walk in beaten down by the weather and leave looking like runway models. I am not kidding, try it. 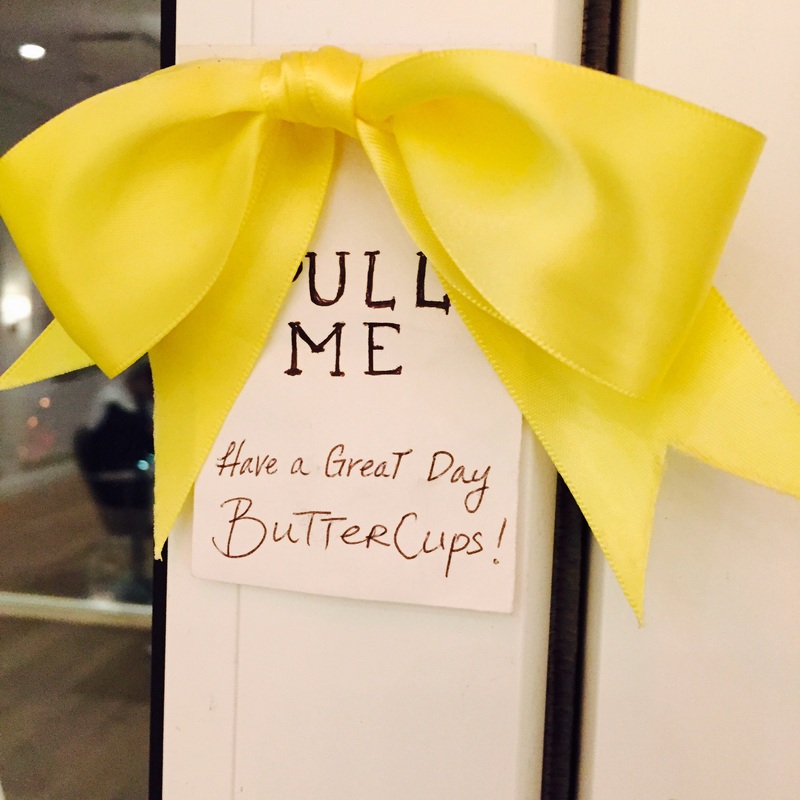 45$ includes an ouch-free wash, blow dry, drink, and cookies. Best 45$ I’ve ever spent. (They will also visit your hotel for 75$). Not only was it a great experience, but I left very impressed by the company. 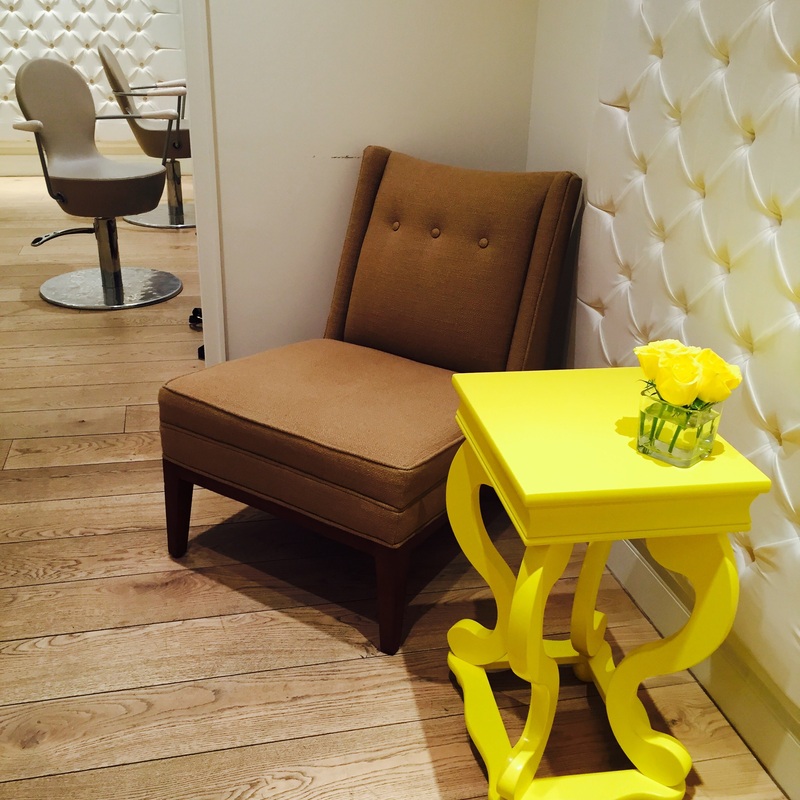 Old Hollywood glamour meets sophisticated pops of happy California sunshine. 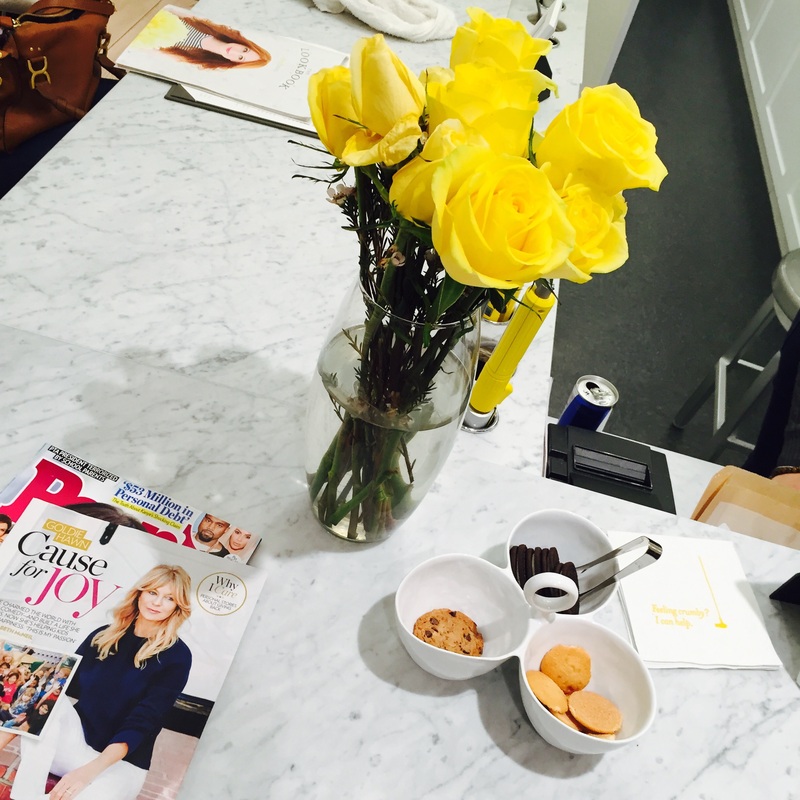 Enjoy your bubbly as you peruse the lookbook, pick your style, and then sit back and enjoy a chick flick while your stylist gives you the star treatment. Cookies included. You had me at Oreo. 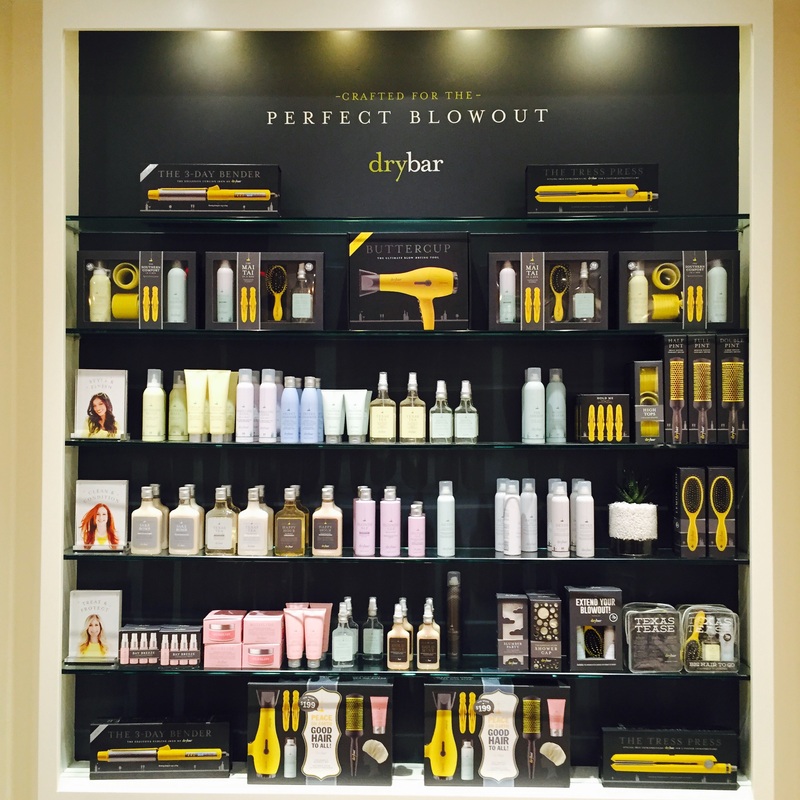 Amazing products to extend your blow dry and the tools you need to try it at home, including the dryer named “buttercup”. The hairspray smells like sandalwood and vanilla, not your typical 1950’s chemical-like scent. 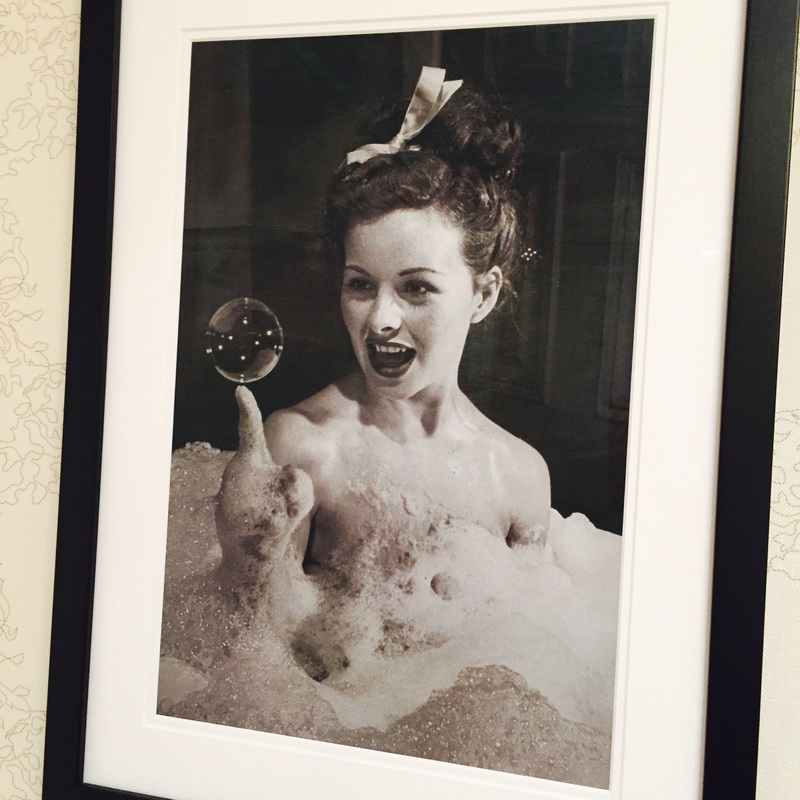 1950’s black & white Old Hollywood images adorn the space. 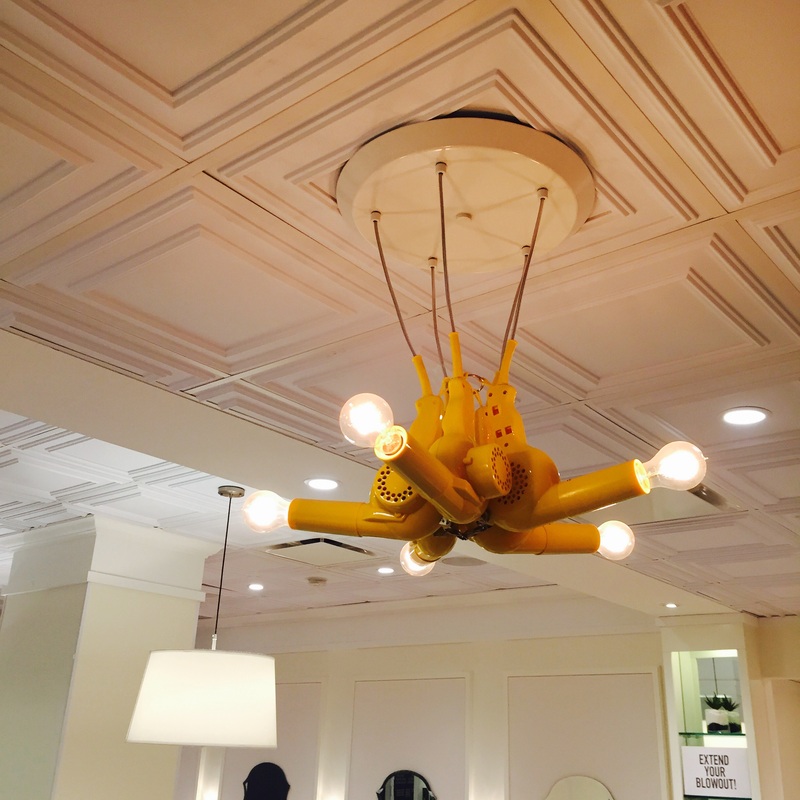 The blow dryer “buttercup” takes center stage. It was all so perfect from beginning to end, that not only did I feel great, but I was blown away by the business model. 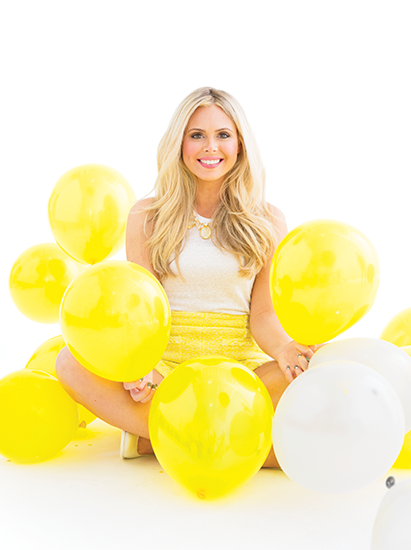 Founder Alli Webb began the business 8 years a go at home and now there are 30 locations across North America, and growing. You can get franchise information on their site. Click here to request a location. Let’s get one in Montreal! When you look at who the big players are in this company, you see the smarts behind the spritz. Check out their impressive resumes here, ranging from experience with Yahoo, BMW, and Proctor & Gamble etc. None of this perfection is by accident. Color me impressed. Every detail is intentional, including this good-bye note. Checkout their lookbook, book an appointment, and search their locations. All pictures in store taken by me. 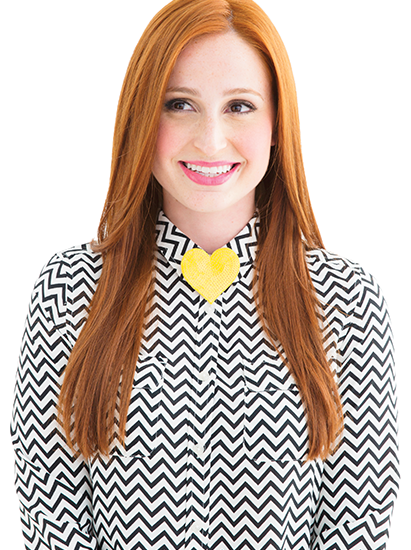 Lookbook photos from the drybar website.